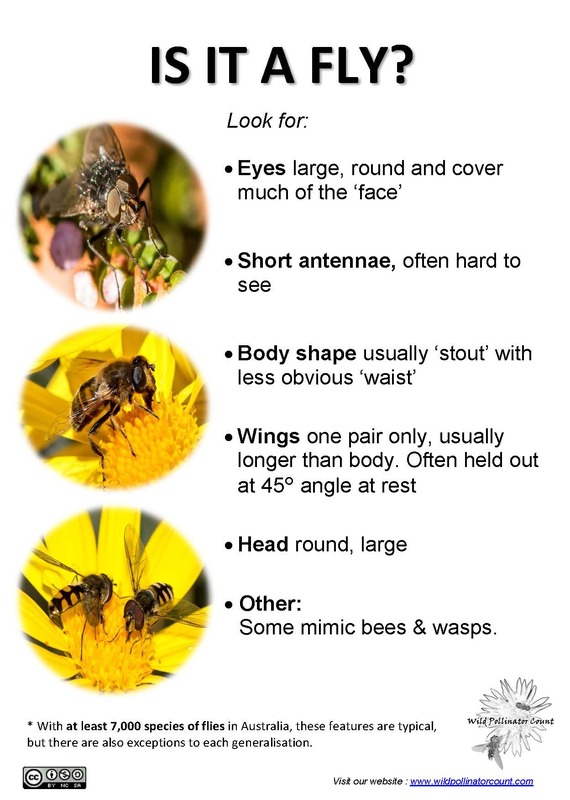 How do you spot the difference between bees and wasps (Hymenoptera) or flies (Diptera) when you only see them flit between flowers? 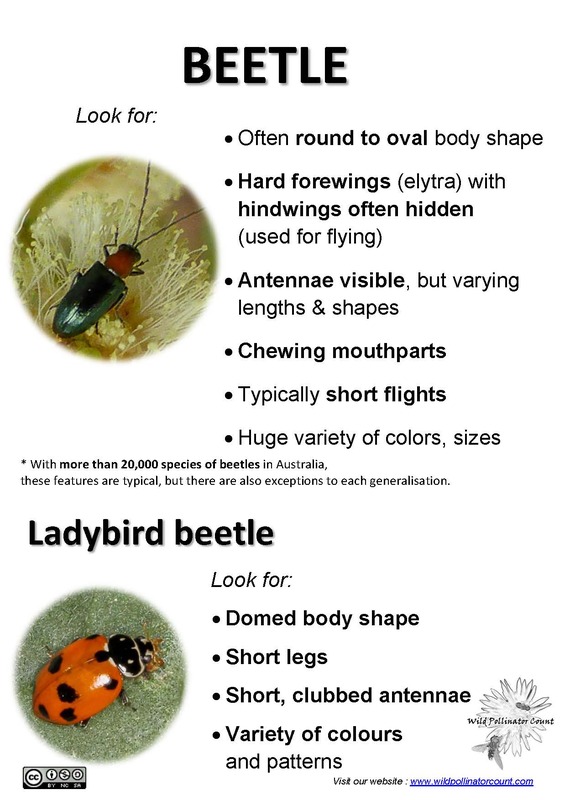 Many identification resources focus on characteristics that you can only see if you have the insect under a microscope, which makes it hard for identifying them in action. 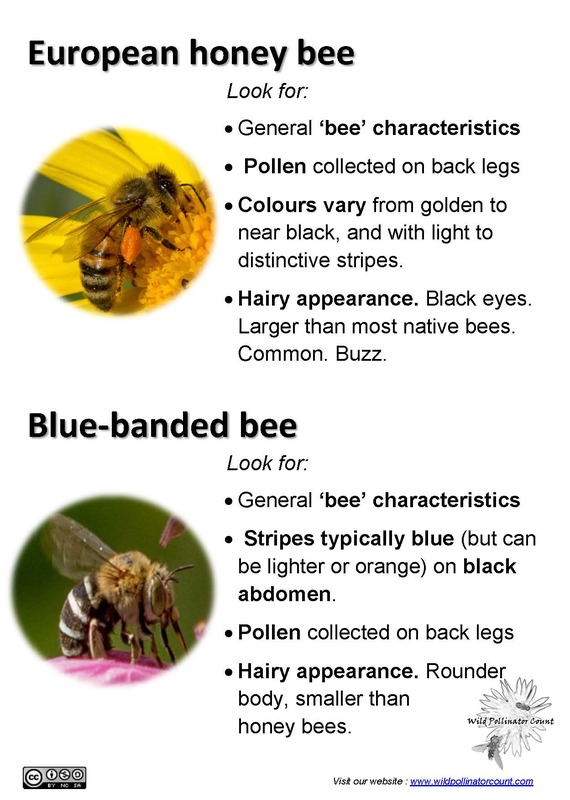 Below are some very basic things you can look for to help you to categorise and report insects for the Wild Pollinator Count. 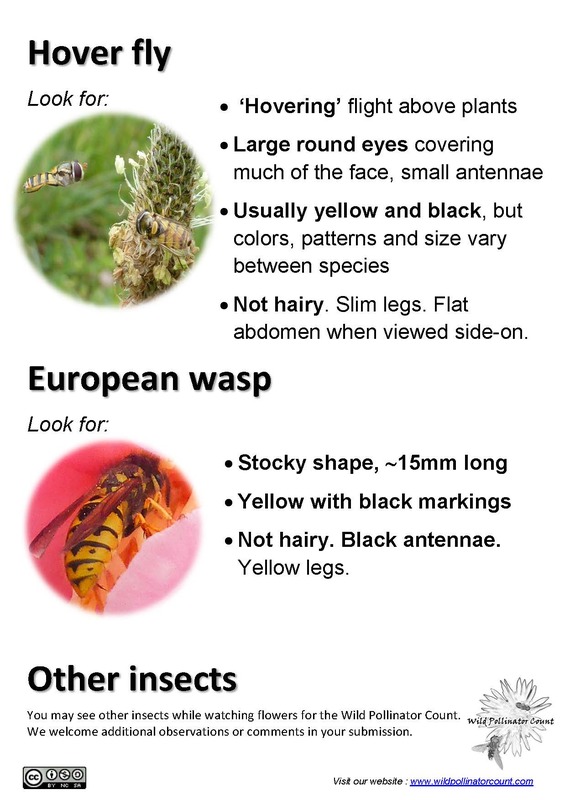 Our guide to common pollinator insects may also help. N.B. These are generalisations. 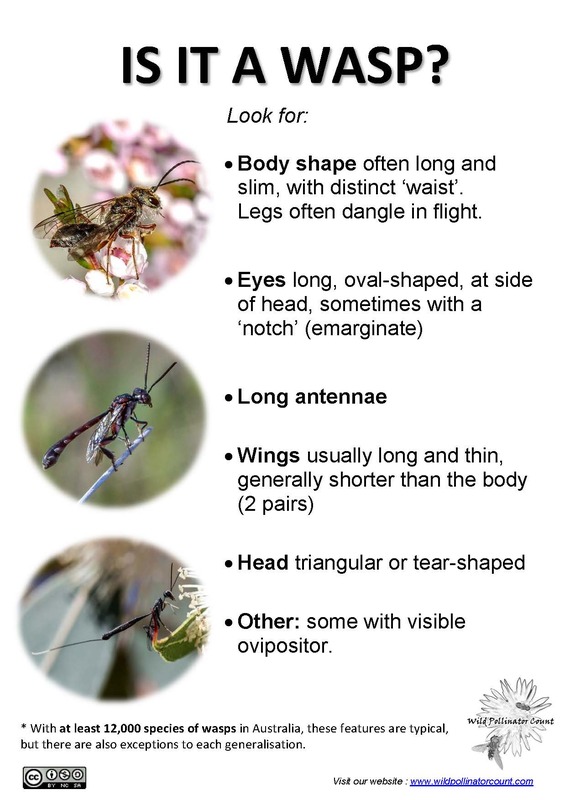 Some species within each group don’t conform to every one of these characteristics. Compare across the range of characteristics and select the category that has the most ‘matches’. 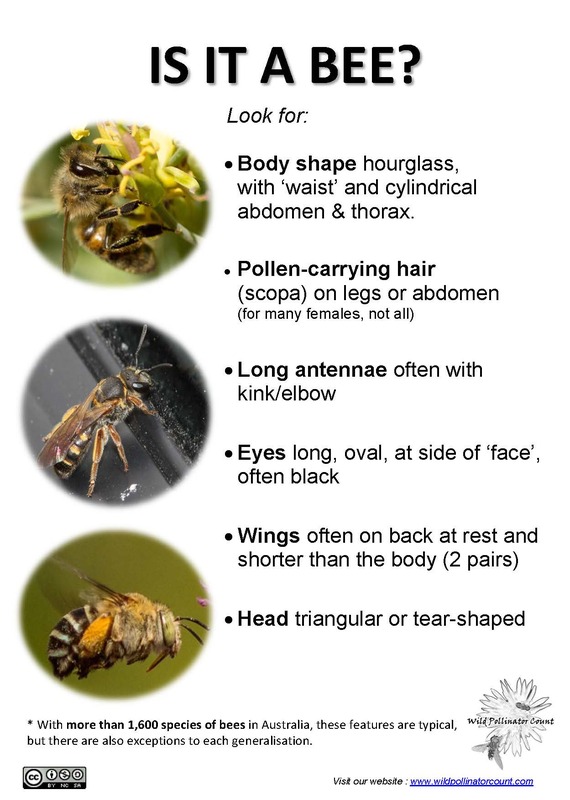 Pollinator Insects Identification Tips by Wild Pollinator Count is licensed under a Creative Commons Attribution-NonCommercial-ShareAlike 4.0 International License. 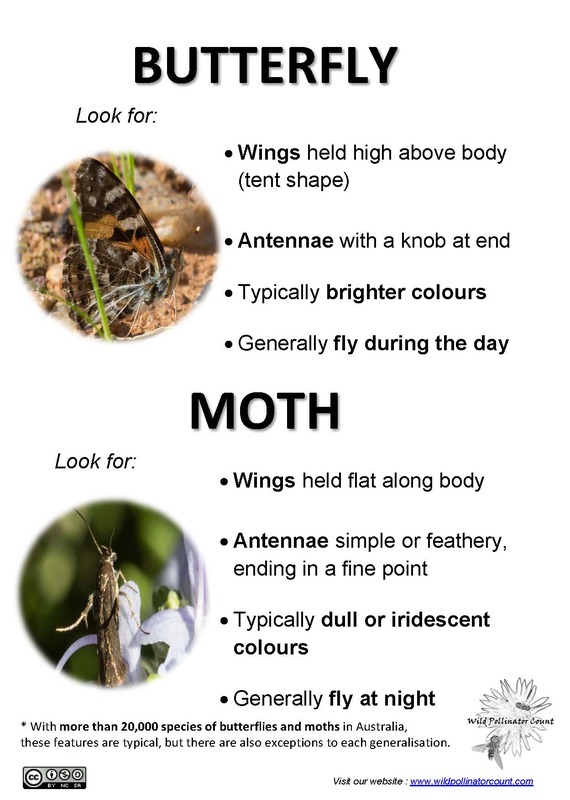 Great tips thanks, helps sort them a little so we can then use other resources to try identification of our insects. I our kitchen we found what Google calls a ‘wasp fly’ do you know what it could be?